Compose calypsos for us . . . or us and them? Should local Calypso lyrics be about Dominican issues, or should they be relatable to a wider Caribbean audience? Cornell 'Fingers' Phillip-- who produced seven competition calypsos for eight-time Dominican Calypso Monarch 'King Dice' – believes fans' expectations heavily influence local calypso lyrics. Phillip, who operates Imperial Publishing studio, noted that it would be difficult for Dominican calypsonians to win a Calypso Monarch crown if they did not sing about local issues of the day. "It's not the fault of the calypsonians; it's the fault of the people," he said with a chuckle, adding: "We like the talk shows, we like the stories, we like the conspiracies." He recalled an effective tactic used some time back by calypsonian 'Hunter' for 'Typical Dominican', a song that did well in the local calypso competition. 'Hunter' revised the song's lyrics for an international audience and released it overseas as "Typical Caribbean", which expanded its market value beyond Dominica. "If he had done that from the get go and gone into the competition, he wouldn't have done that well," Phillip opined. However, he noted that calypsos have always dealt with local societal issues since the days of slavery and, traditionally, they are not composed for an international audience. But doesn't every calypsonian dream of to achieving international recognition for their work? Yes, Phillip said; but he contended that each calypsonian must make a hard decision based on a fundamental question: "Do you call yourself a calypsonian, or an entertainer or an artiste? He thinks the answer defines each calypsonian's style and the lyrical content of their songs. "If you call yourself a calypsonian in Dominica, then you have to stay in Dominica," Phillip declared. 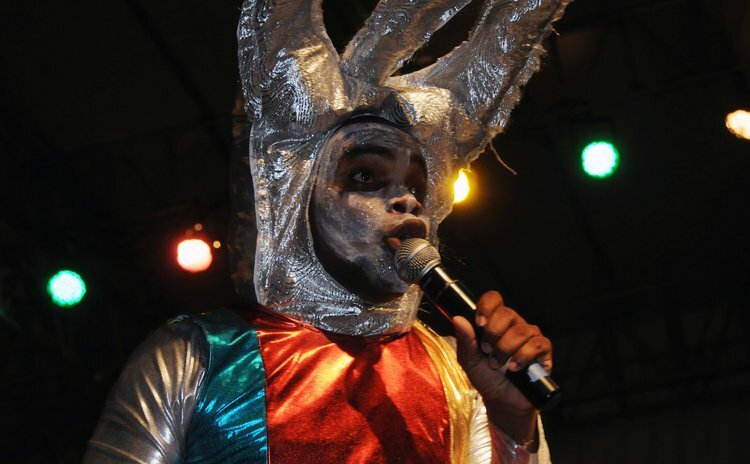 "If you call yourself a performer, you will get outside there, but you most likely will not be regarded as the top calypsonian in Dominica," he explained. However, Phillip noted that calypsonians overseas composed songs about issues in their respective islands, yet their calypsos still became popular in Dominica and further afield. Therefore, Calypsos about local issues can definitely have international appeal. "So it's probably up to the calypsonian to pick up your boots and push your songs out there…" Phillip said. Maybe it's just one of those hard decisions a Dominican musician has to make.